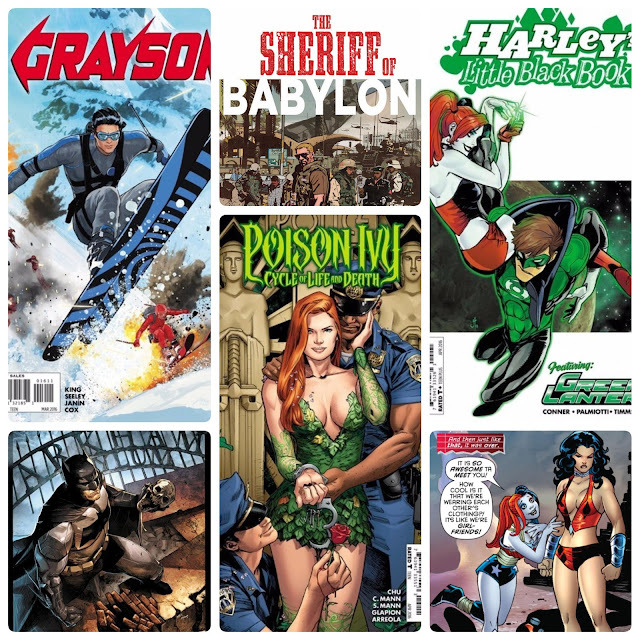 BURBANK, Calif. (February 18, 2016) – DC Entertainment announced today the signing of writer Tom King and fan favorite artists Clay Mann and John Timms to exclusive deals to produce their comic book work solely for the DC Comics and Vertigo imprints. Tom King has quickly become a formidable writer, making a mark with his edgy, dramatic work on OMEGA MEN, GRAYSON (with co-writer Tim Seeley), ROBIN WAR and Vertigo’s SHERIFF OF BABYLON. The former CIA intelligence operative now calls DC his exclusive home, and will play a major role in the new REBIRTH initiative scheduled for June. "To me, DC is Superman. DC is Batman. DC is Wonder Woman. DC is Swamp Thing, The Dark Knight Returns, Watchmen, All Star Superman, The New 52 and The Court of Owls,” said Tom King. “DC is where the great comics get made. I'm honored and proud to be part of that tradition, and I'm going to do my best to deliver my best work ever. I can't wait for people to see what's coming." In addition to signing King, DC also brought two rising star artists – Clay Mann and John Timms – into their ranks of top talent. After producing spectacular covers on such titles as BATGIRL and BATMAN ETERNAL, artist Clay Mann made his blockbuster interior art debut on POISON IVY: CYCLE OF LIFE AND DEATH written by Amy Chu, propelling issue #1 into its second printing. Breakout artist John Timms now also calls DC his new home after creating incredible cover and interior art for HARLEY QUINN, HARLEY QUINN VALENTINE’S DAY SPECIAL and HARLEY QUINN’S LITTLE BLACK BOOK. King, Mann and Timms will be joining an already impressive roster of DC-exclusive talent, including writer/artist Bryan Hitch (JUSTICE LEAGUE OF AMERICA), writer Peter Tomasi (DETECTIVE COMICS, SUPERMAN/WONDER WOMAN) and artist Tony Daniel (DEATHSTROKE, SUPERMAN/WONDER WOMAN).